Combination of a hydraulic pump and control module which operates the anti lock brake system. 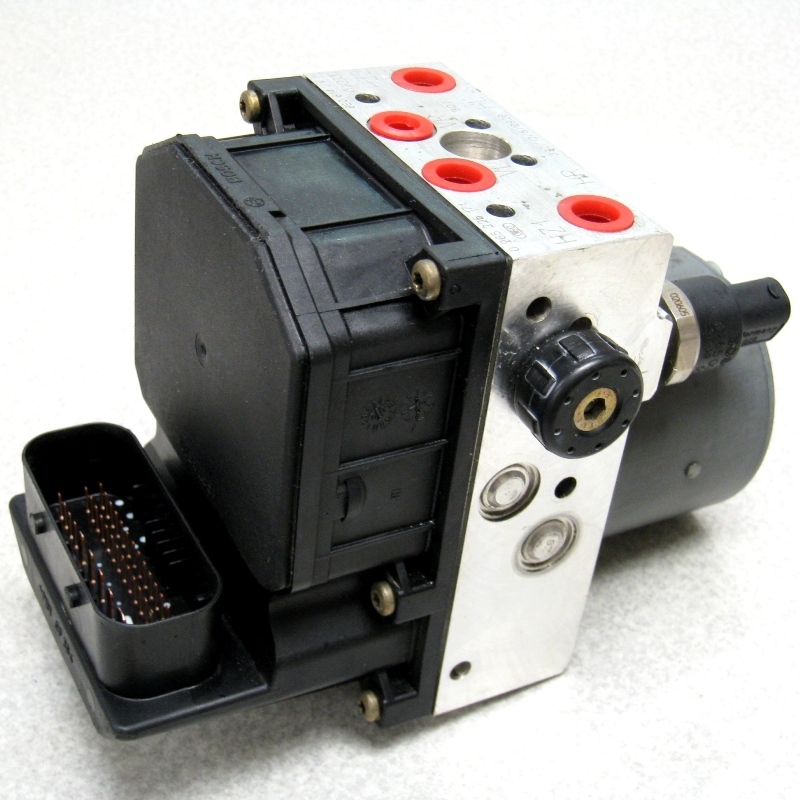 Referring to the image, the black section with the plug is the control module and the remainder is the hydraulic pump and distribution block. Often the part number will be noted in the item description. The number preceded by a C: refers to the controller and the number preceded by a P: refers to the pump. Also see chassis control computer to search for a wider variety of control modules which may or may not mount directly onto the pump.